Back home after 2 fantastic weeks in the US and finally celebrating my new IPA 2013 awards …2 successful workshops, 3 states, 4 fantastic cities in 2 continents (Chicago, San Antonio, Houston, Frankfurt), plenty of inspiring people (my co-instructors at the Chicago workshop) and the brilliant students that attended, of whom many were also awarded at this year’s IPA) and last but not least the 3rd prize and the 6 Honorable Mentions I won while still traveling across the US. I’m very excited, not only for winning the 3rd prize in Architecture Professionals this year but also because all the work I submitted won distinctions in all categories that I participated, which I consider even more important than just one prize. – Fine Art Landscape, Fine Art Trees and Self Promotion (CATHARSIS – 3 HONORABLE MENTIONS). I’m extremely grateful these days; I’ve had a fantastic year professionally on all fronts, having won important distinctions in all the competitions I participated, which were quite a few this year, having had my work published in a lot of prestigious photography magazines and books and having given quite a few interviews as well. Also outside the “fame” part, I’m extremely happy with the course my professional life is taking, both as for the teaching part (workshops, mentoring, writing), as well as for the creation part. I’m full of energy and full of new ideas and the only thing I wish more is to find the magic formula for having 48 hours in a day instead of 24 hours so I can have the time to do all the things I’m thinking of. Maybe I should move to Pluto, I’ve heard they have 6 times longer days than us there. 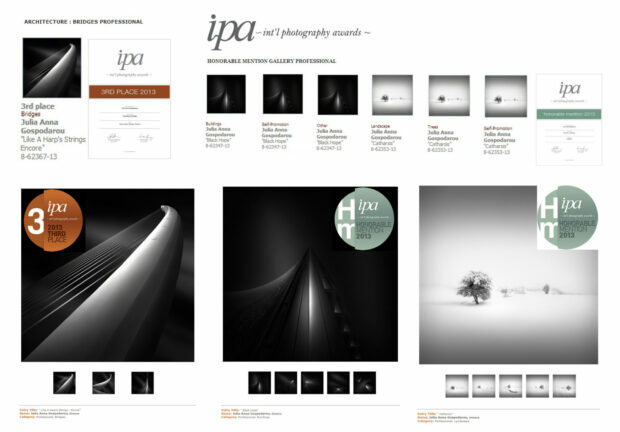 Congratulation to everyone for the IPA distinctions, this was a great year, so many of my friends and of the photographers I admire won distinction: Sharon Tenenbaum, Joel Tjintjelaar, Mabry Campbell, Marc Koegel, Swee Oh, Baber Afzal, Thibault Roland, Sandra Canning, John Kosmopoulos, Simos Xenakis, Andy Lee, Rohan Reilly, Sairam Sundaresan, Cameron Siguenza, Benjeev Rendhava, Angie McMonigal, Walter Luttenberger and I hope I’m not omitting too many others. Looking forward to what other good things this year is going to bring. 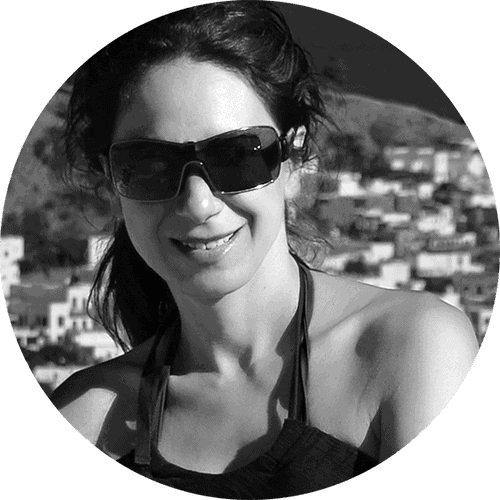 Many congrats Julia, you deserve it! Many thanks, Matej!! Congrats to you too!